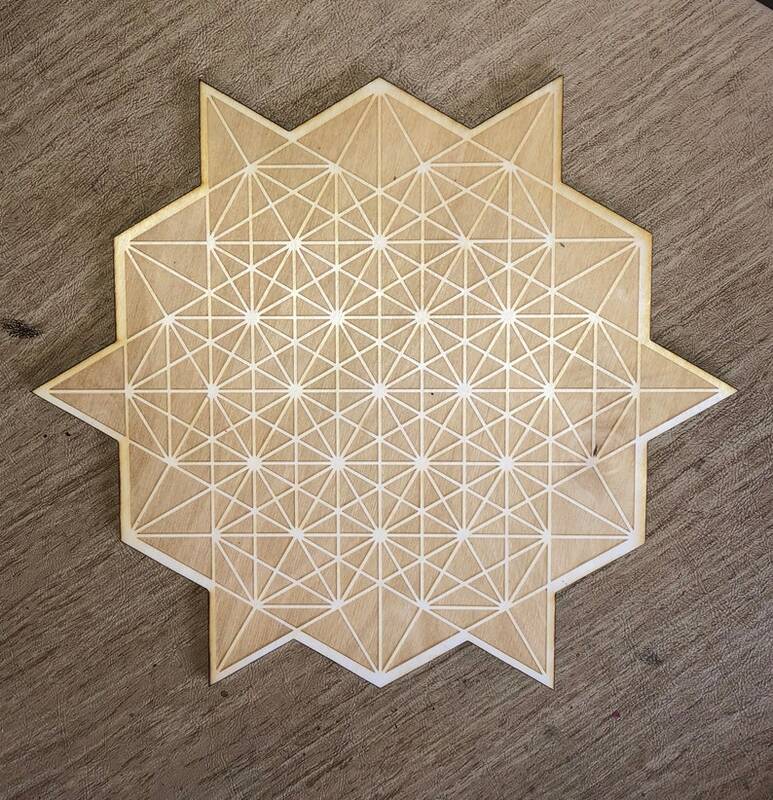 This is a 64 Grid Tetrahedron (8 star tetrahedron) crystal grid made out of Birch wood. 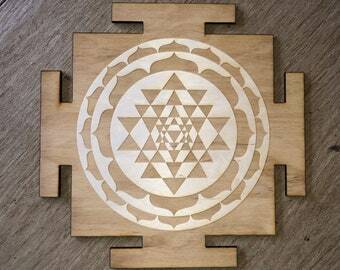 These are made to order, you can choose between approximately 6, 9 and 12 inches in diameter and 1/4" thick. This is just for the grid, stones much be purchased separately. 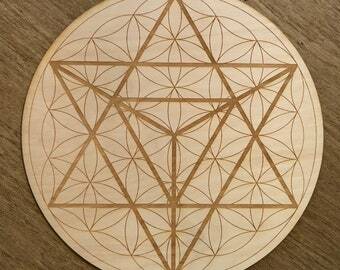 The eight star tetrahedron makes up the 64 grid tetrahedron lattice. 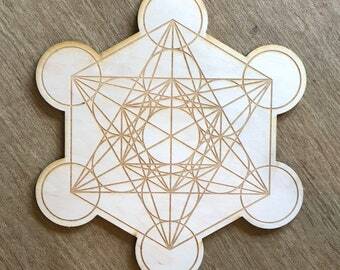 The seed space geometry which is both fractal and holographic. 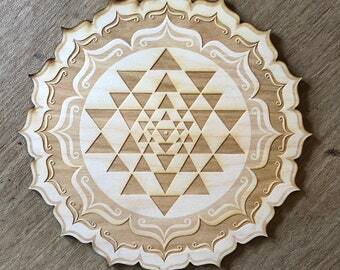 ... Also represents the concept of time which is the tetrahedron grid and when put against the flower of life, the spheres represents space. This is where time and space meet.